DeeDee’s life is full of D’s. Missing her dad, who’s disappeared. Distracted by her sister’s quinceaÃ±era and her brother dropping out of high school. Disappointing her family by struggling in her new school. Being diagnosed with diabetes. So many D’s she worries she’ll never fit in, and worse, never find the best friend she’s always wanted. (*) "A busy novel about the importance of compassion and learning to be true to one’s heart, with an endearing protagonist at its core." "Bibi Belford hits another one out of the ball park! Another D For DeeDee is an absolute treasure for readers of all ages. Told in fourth-grader DeeDee’s honest, charming, and humorous voice, this story of dealing with differences, finding true friendship, and standing up for oneself will stay with readers for a long time. Parents, teachers, and kids will have a great time Discovering DeeDee's ‘D’ words and Discussing them in this Dee-lightful story." 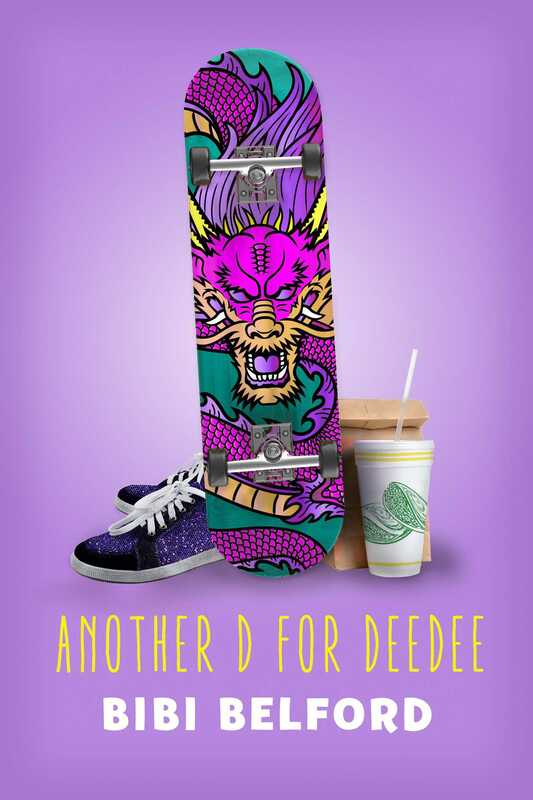 "Another D for DeeDee is an engaging, heartfelt story about resilience and redemption. Lovable and impulsive DeeDee makes mistakes and, Land O Lakes, does she get herself into trouble! But Belford gives her what so many middle grade readers need to see—accountability and forgiveness."